in New York City test location general area. JUNE 23rd - Only 8 days away! At this time, we are excited to announce that another test location has been established for the Alveolar Testing: the New York metro area. 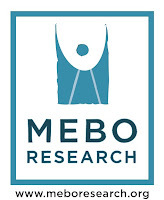 For the latest information on the benefits of the MEBO Alveolar Test, please see the post recently written by MEBO's Managing Director, "Update Menssana Alveolar Breath Test Study". 2. Irene will review results of computational analysis and Alveolar Breath Test, and give an assessment/ interpretation of your health profile with Aurametrix. 3. We all know there is no alternative testing to TMAUjason@meboresearch.org, or if you feel you could accommodate the price of the test, $345.00, and any test location within the New York metro area during the period of Aug 5-15, please proceed to the Intake Form. We believe that this could be a once-in-a-lifetime opportunity to find what chemicals you indeed give off, leading to further clues as to your unique odor "signature." Already, several compounds have been established which seem to be commonalities among odor-sufferers. I believe this test has been best designed to suit those who have tested negative for TMAU, yet still suffer body odors. If you feel you fit into that category and wish to pursue this, please contact jason@meboresearch.org so can continue to build a list of new possible participants. I spoke with Dr. Irene Gabashvili, one of MEBO’s Scientific Directors, and Irene has offered her custom program, Aurametrix, to Breath Testers of the Menssana Alveolar Breath Exploratory Study, who will be able to enter their “Aura” for 5 days, and Irene will review results of computational analysis and breath testing, and give an assessment/interpretation of your health profile. I want to thank Irene for her generous offer to do this. See update post for more details. This is a one-year exploratory study of sufferers of difficult-to-control body and breath odor. You will receive a report similar to the those of the three volunteers have authorized linked below, and after the one year study is concluded, Dr. Michael Phillips of Menssana Research, Inc., will interpret the data and give us his conclusion. In order to identify the metabolic pathway that corresponds with the most common odorous chemical found in sufferers, he will categorize and document the various types of body odor conditions based on the odorous chemicals to then study the metabolic pathways that produce the volatile to define its metabolic origins (precursor). This Alveolar Breath Exploratory Research Study was launched by MEBO Research in April 2012 with Menssana Research Inc. Unfortunately, until we receive a grant, this study has to be sufferer-funded by donations and/or participant volunteers paying for their own test in the study. As participants of this exploratory study, you can take pride in being a pioneer in our community paving the way towards new discoveries that could change the lives of sufferers around the world and their offsprings. Hi all. Is there a confirmed date and venue for UK testing yet? Just want to make sure I have arrangements in place to schedule it in - and in that way, don't miss it! The testing in London is planned to take place a day before or the morning of the Thames Festival, which is the weekend of September 8th. I hope to be able to go to London for this event as well as other MEBO Directors. The instrument will not be taken to the meetup itself, but rather tentative plans are to have it in the nearby hotel that Arun normally recommends. More information will be forthcoming soon. Thanks for the update Maria - much appreciated.